I’ve been seeing more and more opinions from aviation writers about how aircraft owners should be equipping their ships for ADS-B sooner rather than later. The reasoning goes like this: the market for ADS-B compliant products is mature and competitive, so prices aren’t likely to decline much further. And if you wait until closer to 2020, you’ll be caught in a mad rush of owners trying to comply with the mandate and find it virtually impossible to get an appointment with the avionics shop. Call me skeptical. Oh, not about the slow process at the shop — that part I can very much believe. But we’re talking about a piece of computer technology here. Five years is an eternity for electronics in general, and computer components in particular. Look how far glass panel avionics have come in the last half-decade. You get twice the product at one-third the price today. Compare the $50,000 price of the ubiquitous G1000 with the new Garmin G3X Touch, for example. These products get cheaper while they add ever more features. It’s not one or the other — you get both at the same time. If I had told you in 2009 that a G3X Touchscreen system with synthetic vision, video input, a built-in WAAS GPS receiver, ADAHRS, magnetometer, OAT probe, and engine sensor interface would be available in just a few years for $6,000, you’d probably have said I was crazy. Most of today’s ADS-B-compliant offerings cost more than that all by themselves. But here we are, and I can’t help but wonder what will be available in five more years. I’m betting it’s going to be more powerful and reliable while costing less than existing boxes. Another reason to delay: the Rule That Will Not Change may very well (wait for it) change. The FAA has been taking a hard line on that, claiming it will not under any circumstances consider a delay in the mandate’s effective date. But even the Department of Transportation’s Inspector General has been witheringly critical. And let’s face it, the FAA is not known for completing their projects on time. “But this time will be different!”, the Administrator proclaims. We’ll see. The Feds are also under pressure from EAA, AOPA, and others who are making a pretty air-tight case about the damage this will do to the GA rank-and-file. [AOPA’s] letter noted that the minimum investment of $5,000 to $6,000 to install ADS-B Out equipment is “far too high” for many GA operators, especially given that the general aviation fleet includes at least 81,564 certified, piston-powered, fixed-wing aircraft that are valued at $40,000 or less and GA owners have no way to recoup their costs. The actual number of GA aircraft valued at or below $40,000 could be much higher if experimental aircraft are also taken into account. 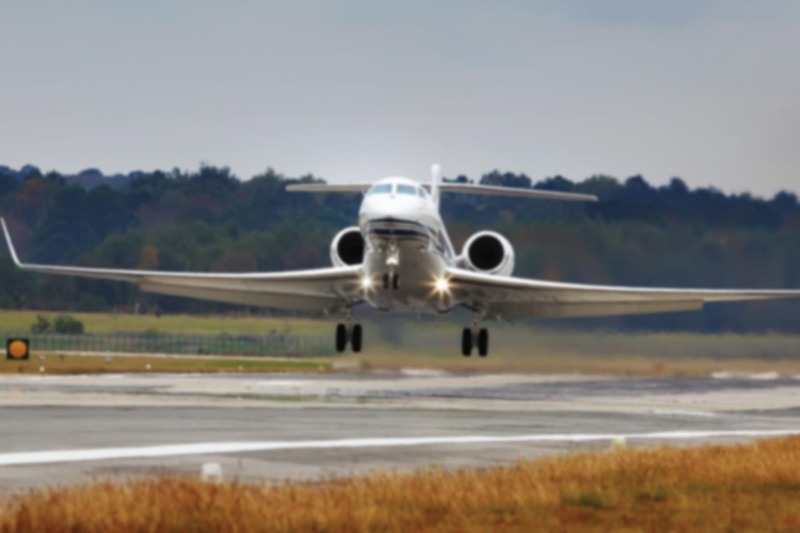 Pushing ahead with the mandate as written will ground thousands of general aviation aircraft at a time when the industry is just beginning to recover from the recession. It’s also worth noting that today’s ADS-B solutions are not always an appropriate fit for today’s aircraft. A good example of that would be a Pitts biplane. Where are you supposed to put all that equipment? If you’re choking down the bill for ADS-B Out, wouldn’t you want the “free” traffic and weather data that come with the expenditure? 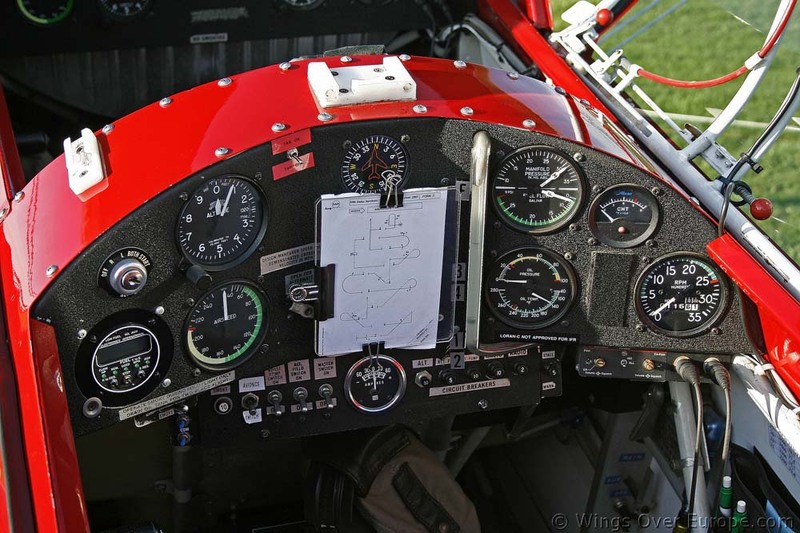 Take a look at this Pitts instrument panel and think about where you’d put a display — portable or otherwise. And keep in mind, there’s nothing extraneous there. Just about everything you see there is required by Part 91 for day VFR flying. A typical Pitts instrument panel. Not exactly tailor-made for the ADS-B era, is it? Many airplanes are going to have this problem. It’s not limited to piston powered airplanes, either. I know several Gulfstream IV operators who aren’t exactly falling all over themselves to spend $1 million equipping their $3 million airplane (yes, that’s what some older G-IVs are worth these days) for ADS-B. They have other mandates on the horizon as well, including ADS-Contract and CPDLC, and must comply with the minimum equipment requirements for all the places they fly. To call it complicated would be an understatement. In fact, this is just as big a problem for the legacy jet fleet as it is for the light GA piston fleet. I’ve said it before and I’ll said it again: aviation’s fortunes are inexorably linked, whether you’re operating a bizjet, trainer, airliner, or ultralight. What affects one of us affects all of us. Here’s something else to think about: even if the deadline slips a bit, the technical ADS-B requirements are not likely to change, so building a product that complies with the minimum ADS-B “Out” specifications should not only get cheaper as time goes on, but also come to market at a faster rate than we’ve seen with other avionics. Just a few days ago, for example, Garmin announced a (relatively) low-cost ADS-B solution that doesn’t required a multi-function display at all. Most avionics upgrades are optional. This one is mandatory, so there’s a captive market out there and it’s logical to assume every OEM wants a piece of it. Technological progress aside, competition tends to drive prices down, not up. Is it crazy to think ADS-B solutions will be selling for half the GDL-84’s announced $4,000 price by the time 2020 rolls around? Even if the price doesn’t go down a penny, inflation alone will shave off another ten percent of the effective cost between now and then, and give aircraft owners more time to save up. Flying is certainly not getting any cheaper, but if there’s one area where your money goes further than ever, it’s avionics — especially if you’re blessed with an “Experimental” placard. I’m not suggesting you shouldn’t schedule a date with your avionics shop for compliance, but if it was me, I’d be waiting until a lot closer to the deadline before pulling the trigger on equipment choices. Nobody can predict the future, but when it comes to avionics, you can feel pretty confident that the choices in 2020 are going to be less expensive and more capable than anything available today. It feels like I have been hearing about ADS-B for about 15 years now. Even yesterday I received an article in an e mail from AOPA stating how costly it can be. Everyone cries out, Its coming Its coming! I barely understand it, but I think it has something to do with separation and surveillance. I am neither an owner nor work for an operator, so at this time, the cost won’t worry me, but I can appreciate how a blanket statement that pretty much everything-that-flies is required to have this equipment. Not sure if it is heavy but from the post above it might be. I do agree that avionics will become more advanced in the next five and hopefully cheaper and lighter. While ADS-B might be controversial, I’m wondering if we went through the same thing years back with a transponder. But then again, Xponders are not required in every aircraft, all the time. Be curious to see how it plays out but I’m not holding my breath. I see this mandate arriving in another age. You probably have been hearing about it for 15 years. Before it was “ADS-B”, it was Capstone. That goes back to the late 90’s. The situation today is probably somewhat like the Mode-C transponder mandate of the 80s. But then, a lot of airplanes already had them, and as you noted, they weren’t (and still aren’t) as widely required as ADS-B. As for the cost, even if you don’t own an airplane you’ll still be impacted if you fly. FBOs have to equip their fleet, and guess who they’ll pass the cost along to? What if that King Air owner decided to sell his airplane rather than invest $50,000 in updating the avionics? Then there would be no job for you at all. One way or another, we all pay. Everything is interconnected. It seems to me that you are addressing the wrong issue when considering prices for the equipment. The worse condition is that it is extremely hard to make a case for recreational flying or flying clubs when the mandate is being discussed. Most of the persons we should be training today are early in their careers and many can barely afford flying right now. At the same time, many older pilots (experienced ones and instructors) are getting out of aviation since there are too few years of flying left for them to make a good case with their wives and family that the money spent on recreational flying is beneficial.. Most older pilots are flying alone in the cockpit although they prefer to share flying with others. When the more experienced pilots are leaving the field and the younger persons can not afford to fly, the joy of sharing we had when I was young is disappearing. There is a fine line between a hobby or profession which one can share with friends and an expensive extra that men do not wish to place on their relatives. Spend a few days at the airport to see how much less the aircraft are being used, go over the expense accounts which relate to flying, calculate the amount of time spent in maintaining a reasonable level of skill at the controls, add the time spent in keeping up with the regulatory changes, staying abreast of the FARs and the changes to the AIM and then decide when enough is enough. Is it any wonder why old hands are deciding to leave and fewer young persons are deciding to join the pilot ranks unless they are earning a living at flying? The really sad thing is that the fewer persons enjoying flying makes the expense of flying hard to justify to the larger population who do not see the value in general aviation. We must engage in selling aviation to the whole population (flying and non flying persons)and we must strive to keep it affordable. Otherwise, it will gradually (or not so gradually) cease to exist. I would only note that the focus of today’s post was the detrimental effect of ADS-B and how the damage might be at least partially mitigated. I don’t know if the Feds are truly unaware of how destructive the high cost of ADS-B compliance will be, or simply don’t care. Either way, we’ll muddle along at best until serious changes are made there. Ron – nice post. The biggest reason the ADS-B Out equipment is expensive is FAA’s refusal to approve portable GPS and other avionics equipment. The only thing that should require a hardware installation by avionics shops is the external antenna and a hardwire connection to the DC electrical bus. The rest of the equipment ought to be portable, which is always vastly cheaper than certified panel mount equipment. This goes along with the long (and illegally) delayed FAA rulemaking on the FAR Part 23 reform. Besides the fact that portable equipment (GPS receiver, ADS-B Out transmitter) is itself much cheaper to buy, portable equipment could be shared between aircraft, a big savings for flying clubs, training outfits, etc. And addressing your concern about panel real estate, portable equipment resolves that issue too. The cost of ADS compliance would be minimal under this approach. And wealthier operators and those with larger panels could still opt for panel-mount equipment. The problem is, FAA is in full revolt against any efforts to force reform, even those enshrined in Federal law (like the Part 23 rewrite, which was required by law to be in force by next year, and with which deadline FAA has already declared that it refuses to comply!). Congress is going to have to lay the hammer down on FAA, with big budget cuts and even criminal liability for bureaucrats who refuse to comply with the People’s Congress. They’re recalcitrant and out of control. I think you nailed it with that last paragraph, Duane. Until the FAA is as invested in preserving and growing general aviation as we are, things are not going to improve. I always point to the thriving E-AB sector as empirical evidence that more freedom and less regulation will stop the slide. It’s not just a theory; it’s already happening in that arena. If you must be ADS-B compliant Jan, 1st, 2020, then you probably want to be equipped 24 months prior or so. But if you aren’t going to loose money for not being equipped right from the get go. I’d say holding out will result in at least 30% savings. Perhaps waiting until 2020 to equip will give you the best savings. For every passing year more used WAAS receivers get replaced and go to the 2nd hand market. The more you ignore govt, the more it comes to bite you. Engage yourself in FAA reform. Demand it. Democracy isn’t just voting and then wining when you don’t get what you want.